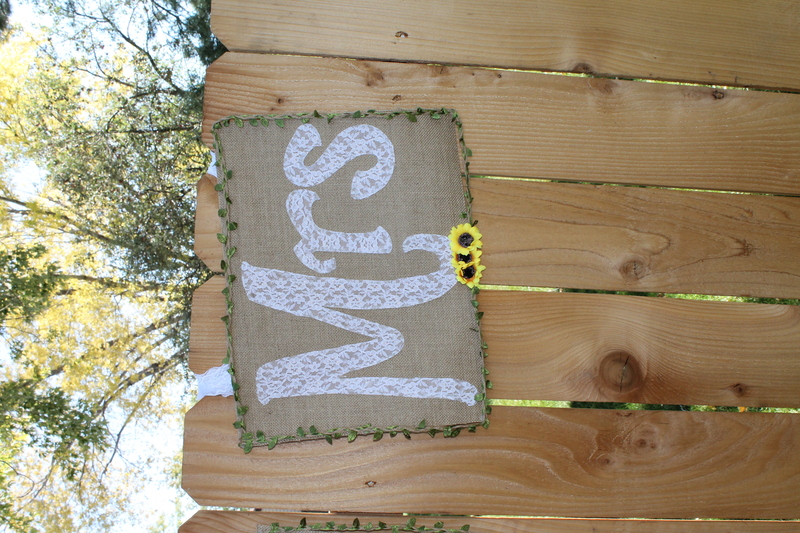 Burlap and Lace Mr. & Mrs. 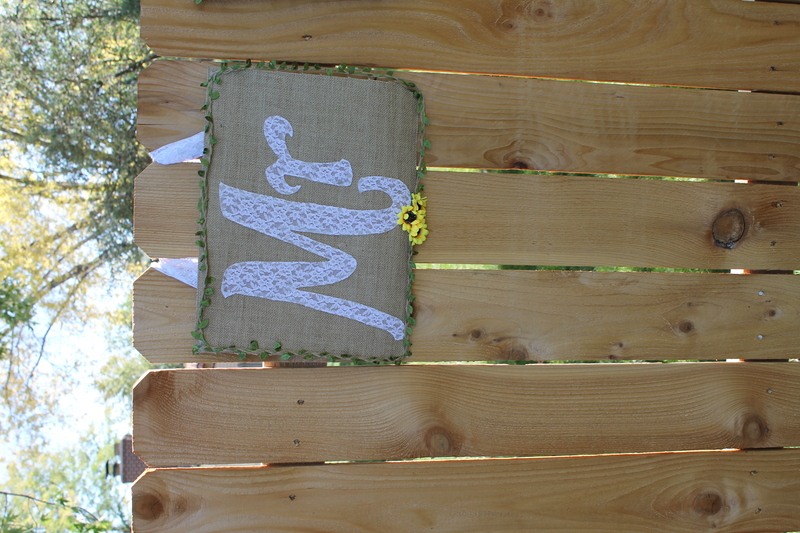 Banners has pretty accents around border of green leaf and yellow flowers. Ties onto back of chairs with lace, cant be slipped on.